At our September community meeting, Amanda Muise and Roby Miller from Community Head Injury Resource Services (CHIRS) gave a presentation about positive psychology. Positive psychology is a relatively new field of psychology, developed by Martin Seligman , the former president of the American Psychological Association. Seligman was motivated by wanting to know what makes people happier on a daily basis. 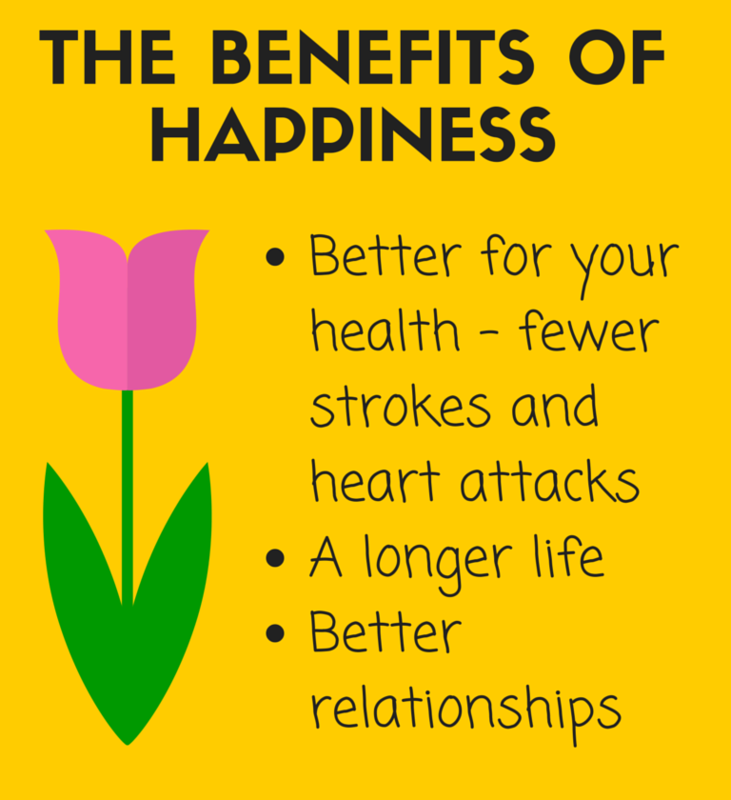 And while it is kind of obvious, but also worthwhile mentioning, happiness is important because it’s good for you. People who are happy have fewer heart attacks, strokes and tend to live longer. Amanda and Roby gave us some exercises to help increase happiness. Take a moment to think of someone who made a big impact on your life. This person could be a teacher who helped you pass a difficult class, or an important friend in your life. Write a short letter to that person and explain the impact they had on you. You don’t have to share the letter, or even tell the person about it, though research shows that sharing this with the person increases your happiness. Body language can have a big impact on your brain. As social psychologist Amy Cuddy discusses in her Ted Talk, standing like Super Man in front of the mirror actually boosts your self-confidence. Chewing on a clean pencil uses the same muscles as smiling, and can actually make you feel happier, because your brain thinks you’re actually smiling. It’s easier said than done, but learning how to pay attention to the present moment or purposely slowing things down can increase your happiness. Even taking just one minute to meditate can be very helpful. Take a moment to think about your day. Record something that went well: what was the event? What had to happen for it go well? Why did it go well? What role did you play? Why is it important? You can find out more about positive psychology by reading Sophia Voumvakis’ post on Finding Happiness after ABI, here. 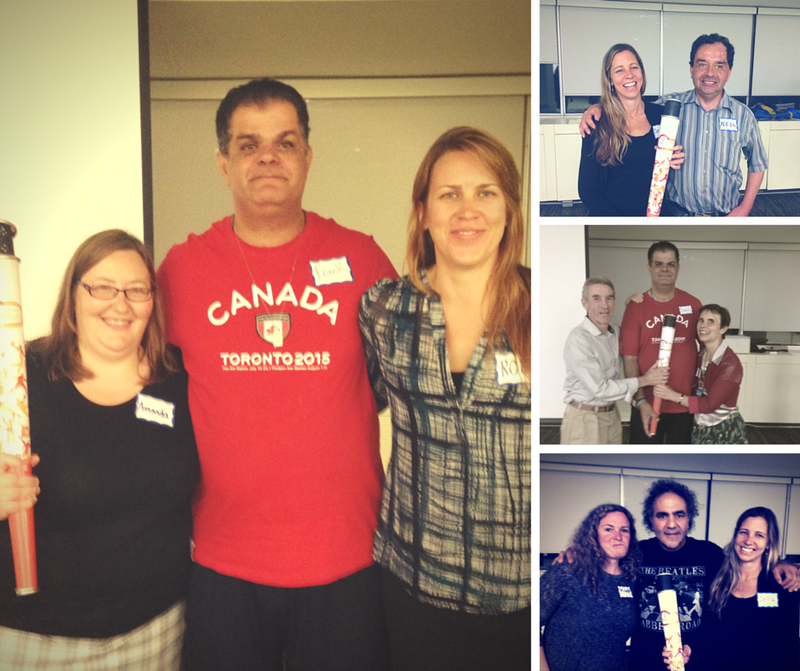 And we wrote about Frank’s Pan Am Relay experience this summer, right here. There are a lot of meditation apps you can use, including some which are specific for brain injury. We’ve also discussed mindfulness at other community meetings, which you can read about here.